What began as an e-invoicing mandate in Brazil just over 10 years ago has significantly transformed the way businesses operate – not just in Latin America, but across the globe. Governments are progressively turning to technology to close tax gaps, crack down on tax evasion and gain visibility into transactions that happen within – and across – their borders. Since Brazil’s e-invoicing launch, we’ve seen three major trends unfold: 1) the geographic reach of such tax compliance and reporting initiatives has expanded; 2) the breadth of business processes affected has widened, and 3) the pace of compliance has accelerated. Brazil’s early success in mandated e-invoicing has been noticed around the globe. In fact, 24 countries now require electronic submission of transactional data, spanning across Latin America, Europe and Asia. Some governments require this information in real-time, even before invoices are issued to buyers, and others allow for a slightly longer window from when the invoice is issued and when it has to be submitted. (See our overview of the three primary approaches to e-invoicing here). But no matter the approach, it’s clear that governments are showing a propensity toward transaction-level data, and new countries are adopting this approach each year. Hardly any business unit is immune to the implications of tax compliance. Of course, accounts payable, accounts receivable, finance and accounting were the first affected. But these requirements also affect shipping and logistics, supply chain planning and inbound receiving, as in many countries, all invoices have to be verified and validated before shipments can move or goods can be an accepted. Human resources is also increasingly affected, with many governments requiring added details on employment processes – from payments to vacation days to disciplinary actions. Compliance moves fast, in two ways. First, the pace with which governments expect information is increasing, with real-time invoicing, eReceipts and tax reporting now common. In addition, the pace of change is accelerating. It’s not uncommon for countries to add, enhance or change their requirements multiple times per year. Though the challenges associated with today’s tax and information reporting landscape are cumbersome, an intelligent approach to compliance means that your company will not only meet all the necessary requirements to avoid fines, penalties and operational disruptions, but also that you will be able to find efficiencies and opportunities within these mandates. 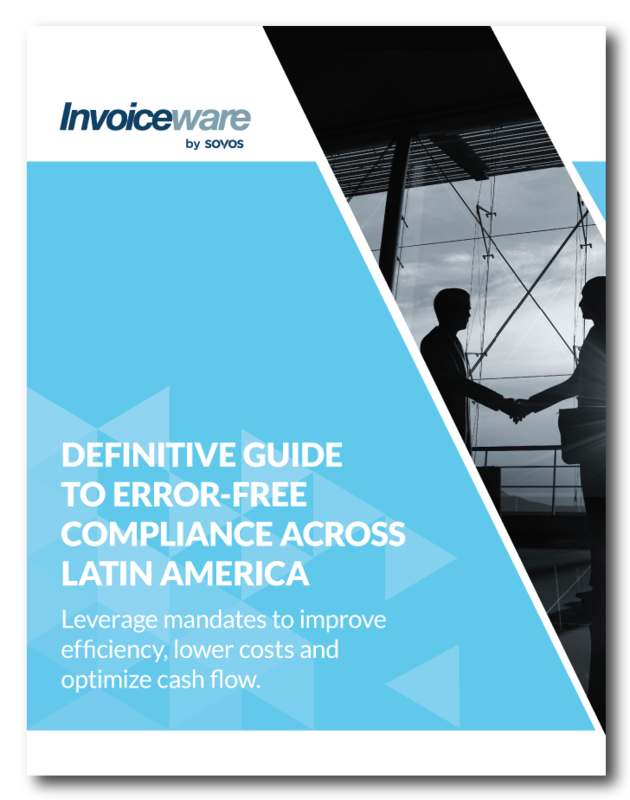 Download our Definitive Guide to Compliance Across Latin America, updated in 2017, to determine how to prepare for compliance, tips to evaluate your solution and an overview of the specifics each country’s requires.